Our Mission is simple: MOVE MORE. You need to move more to be optimally healthy. That is a scientific fact. Unfortunately, we do not move as much as we should or need to move, so we created Oasis to help you move more and move better.All of our programs and services are here to help you move in the ways you are designed to move, so you can live a longer, healthier, more independant and more enjoyable life. Our Philosophy: YOGA FOR EVERY BODY! We want to take the 'mystery' out of yoga so you can enjoy all of the amazing health benefits yoga has to offer. Regardless of your age, level of fitness, or religious beliefs, we have classes you will enjoy and benefit from. 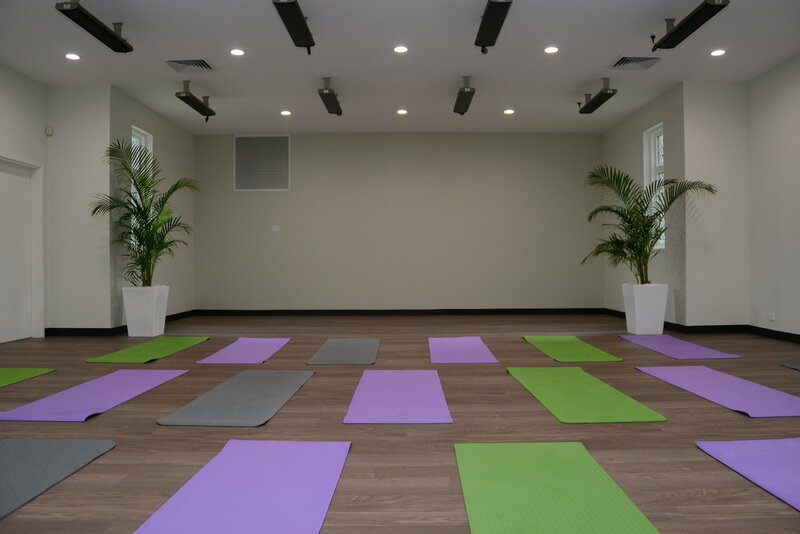 Oasis Health Centre in Warners Bay has a range of classes to suit everyone from the beginner to the hardened yogi, at times that suit your busy life style. Our primary focus is on the physical aspect of yoga to help you move better, as well as the meditative aspect of yoga to improve mental/emotional health (i.e.decrease stress). We are for people who want to take some time out for themselves to stretch, relax, and get back to theirs daily lives feeling calm and energised. Yoga is great for improving flexibility and balance, reducing mental and emotional stress, losing weight and toning, activating core muscles, improving sleep patterns, and feeling energised! If you already have a fitness program, regular yoga will amplify the results of your training. Our New studio has been designed to create an oasis like experience for you away from the outside world. Our world class instructors will support you and ensure you are getting the support you need. We are confident we can provide you the experience you are after.